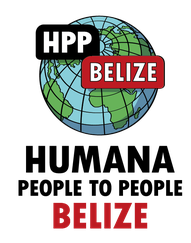 In Belize, the agriculture sector is known to be vulnerable to changes in temperature, rainfall, sea level, and the frequency and intensity of extreme weather events which affects the conditions in which crops grow and the suitability of crops, both of which directly affect agricultural productivity. 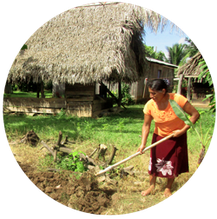 Climate change has severe impacts on the agriculture sector of Belize. 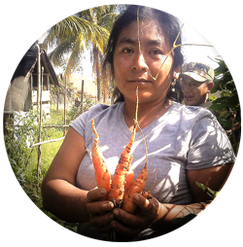 Both scientific and anecdotal evidence gathered from an assessment of Belize’s productive sector already suggests that current climate variations are affecting the agriculture sector with results in inconsistent yields. Belize’s predominantly rain-fed agricultural systems are already experiencing difficulties as changes in rainfall patterns and once predictable amounts of rainfall have introduced uncertainties and unpredictability to local seasonal patterns for planting, harvesting, and storage. 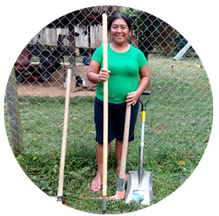 The project worked with 40 women who had already established backyard gardens through their collaboration in the Child Aid and Community Development Project. The importance of adequate storage of their harvested vegetables and fruits. Installation, usage and maintenance of silos (a structure for storing bulk materials). Improved processing of their products. 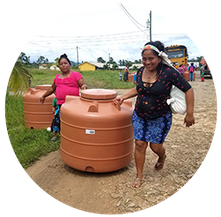 To improve storage and processing of agricultural products to reduce postharvest losses in Toledo District, Belize. 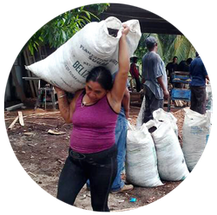 Women smallholder farmers in Cowpen, Red Bank, Santa Rosa and San Roman, Stann Creek District, build their capacity to store and process agricultural products. Extension officers from the Ministry of Agriculture, Fisheries, Forestry, the Environment and Sustainable Development (MOAFFESD).